Remember if you will that along with 'Alright' their chart peak was the riffy, dark 'Richard III' and the solo work of singer Gaz Coombes comes as less of a surprise. There has always been an undercurrent of something 'other' about the group and this more than anything else (sideburns aside) that Here Come The Bombs brings out of the Supergrass legacy. Although the album works very well as a whole piece, necessity dictates that I bring out one here as an example of what makes the record so great. Single 'Hot Fruit' is a fine example of the record, but has already been doing the rounds for some time. As such let's take a quick look at 'Fanfare'. Built around an electronic pulse, 'Fanfare' is as much Boo Radleys swirling psych as it it Supergrass at their most hazily mature (think the quieter moments of Road To Rouen), but with addend progressive tenancies from the vintage synthesisers and sequencers. There's probably some Pink Floyd influence in there, but this is much better than anything that that band ever committed to tape. Without the huge hooks of Supergrass, this feels almost ephemeral, but the unmistakable vocal ensures that it's also familiar. That it nearly drifts past just ensures that you want to listen more to get a firmer grasp. But don't just take my word. 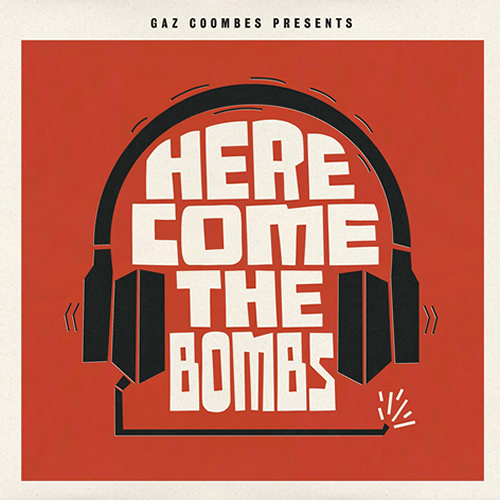 Stream Here Come The Bombs at The Guardian. *There's another argument here about what Britpop actually was, and how it was hijacked, but that's for another time. Note: From now Track of the Week will have no fixed day. Keep an eye on our Twitter for when it drops... or just keep checking back.